All drivers, both beginners and experienced, know the Golden rule: in order to obtain or renew your license for heavy vehicles, must pass a medical examination. This is necessary in order to prove that the condition a person admits that he operated the vehicle. How to pass the medical examination and what diseases can create problems when passing and even cause the rejection? The passage of the fee for a driver's license usually begins with a visit to an eye specialist – an ophthalmologist. Need to know if the aspirant has acute or chronic diseases of the eye, or present pathological changes of the organs of vision, then he must refrain from driving even if in everyday life a person feels quite comfortable. However, on the road good vision is fundamentally important because the driver needs to perceive and assess the situation. Also to pass a medical examination, you must see a doctor-otolaryngologist. If the candidate has low rates of hearing or he has a chronic inflammation of the middle ear – it can serve as a contraindication to driving. A neurologist will not give a "good" candidate for a driver's license if he has for the last several years (usually two) were observed in diseases accompanied by convulsions. This is usually epilepsy and sometimes serious dysfunction of the vestibular apparatus. If the applicant suffers from a mental illness (chronic or acute) or has problems with alcohol or drugs is a sure guarantee that the way to drive would be closed for him. Hypertension (second or third degree) or, simply, high blood pressure, will be the reason to the fact that the Commission deny the privilege. Some candidates ' performance pressure can rise just because they get nervous before a doctor's visit. Therefore, before you enter the office, it is advisable to catch my breath, to relax and calm down. 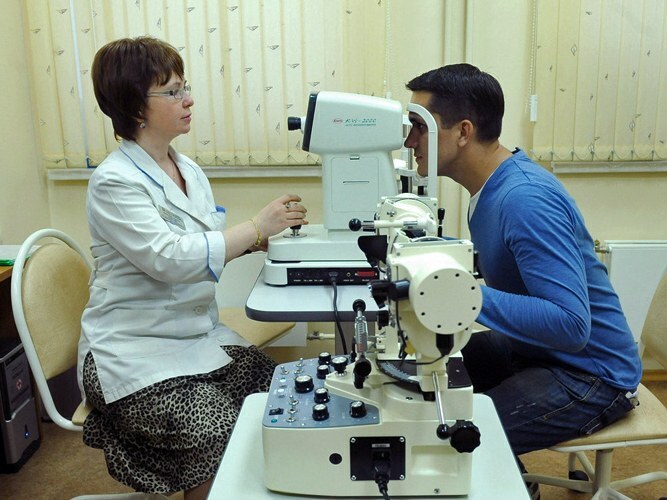 Of course, the physical examination is actually not so difficult. The list of contraindications is not small, but it is fully justified. After all, if the restrictions were less, the number of unhealthy (and sometimes inadequate) citizens on our roads would grow exponentially. To what it led to – not difficult to guess. Before you start training in a driving school, every prospective driver must pass a medical examination consisting of several doctors. The survey results and analysis you will either admit to the school or refuse it. About the doctors on the medical Board for driving schools is legendary. Some believe that you need to pass an impressive list of specialists, including a urologist and a gynecologist, others suggest that you should let only the eye doctor, the psychiatrist and the narcologist. In fact, a mistaken. Part of the driving examination comes with a clear and long-established contingent of doctors pass are a must. A medical certificate, which is required for admission to a driving school, has the name 083 and includes the findings of several doctors. You will need to have a psychiatrist, psychiatrist, psychiatrist, therapist, ophthalmologist, otolaryngologist, surgeon and neurologist. Also, in some regions women need to and the conclusion of the gynecologist. You can go through all the doctors in one place (for example, in some driving schools employ a Committee of several doctors who take new drivers in the territory of a driving school or to visit specialists separately. The second method is quite long, because in a roundabout sheets in the clinics accept several times per week, and hours are often inconvenient for working people and too small (2 or 3 hours on average to dozens and hundreds of people). To go to psychiatrists and the psychiatrist is usually necessary in clinics (mental health and substance abuse, respectively). These doctors usually it is possible to observe the long queues and admission is always paid (from 250 to 1000 in different regions of Russia). Some psychiatrists you will have to pass a small test and answer indiscreet questions, and the psychiatrist will want to check urine or blood for the presence or absence of prohibited substances. If before the waiting periods of the test results was 2-3 days, now you can tell them almost immediately. Before you pass the doctors, don't forget to take photos of 3x4 format, which the Secretary will be attached to the certificate and pasted in your own business. Also you will need your passport and glasses/lenses (if you wear them). Be sure and have a valid fluoroscopy, which was done in the past year. If you doubt that driving pass a medical examination, better to do it before writing to the driving school and pay for teachers. With the passage of doctors for a medical certificate 083/you need to be very careful and honest with professionals, as included in document data will be several times thoroughly checked in a driving school and traffic police. Advice 3 : Do you need a medical certificate to replace a driver's license? 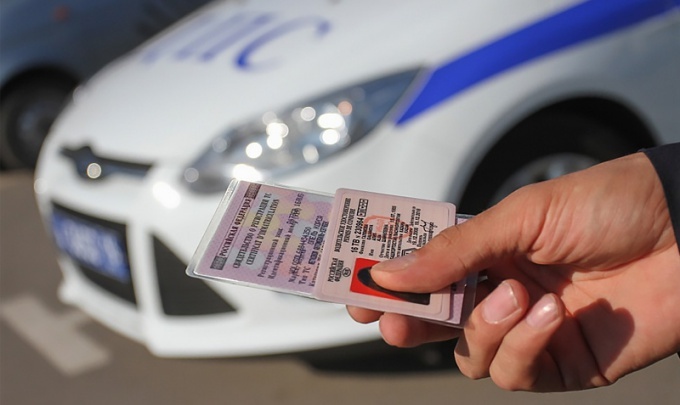 Informed in all cases when the driving license was lost, wore out, were stolen, was required to undergo a medical examination for the right to drive cars and motorcycles. Regulated by this order 196 FZ, dated 10.12.1995 year. "On road safety". If you have changed your personal data (including the changed surname in connection with marriage or divorce). If the previous "brown" driver severely damaged or completely unfit unreadable state in which you want to replace a driver's license. If the licence was lost (lost, stolen, etc.). If you need to obtain an international driving permit. In these cases, to replace a previously issued certificate, do not need to get an opinion from doctors about presence or lack of drivers or those who claim to drive contra-indications to management of vehicles. In all other cases, candidates drivers have still to undergo a medical examination before the exam or replacement rights. Regulates this procedure, as before, above the law, but entered into force changes vnesenie Government resolution No. 65 of February 4, 2016. For those who still need to get a medical report may just as before to get it, if we turn to the state budget healthcare facility or private medical center. We will remind that earlier has been returned to practice to pass the psychiatrist and the psychiatrist apart from the rest of the doctors in specialised medical institutions at the place of residence.